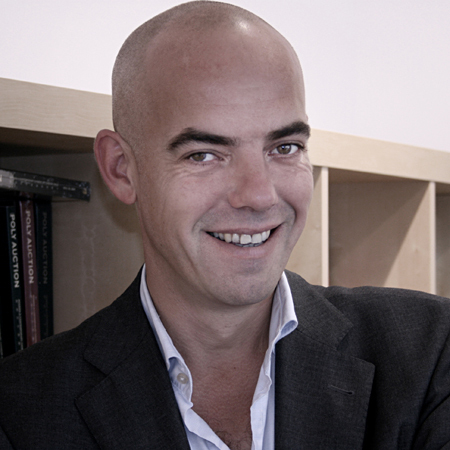 artnet' spoke with the director of Art Rotterdam, Fons Hof. Linda Dobke: We are steadily approaching this year’s edition of Art Rotterdam, which opens to the public on February 6. How are you feeling? Fons Hof: Excited. We are moving to a new venue, and, of course, I’m very curious about how everything is going to work out. The Van Nelle Factory is a modernistic icon, and gives us the opportunity to grow and integrate last year’s successful video section, Projections, into the fair. LD: Art Rotterdam has, in a fairly short amount of time, grown into a well-established and relevant international art fair. What do you think has been the fair’s recipe for success? FH: We have developed a clear identity as a fair focused on presenting young art, and we have a strong focus on the surrounding countries, with many collectors coming to the fair from Belgium and other European countries. LD: For those who aren’t familiar with Art Rotterdam, what is the most important thing to know about the fair? FH: It is a concentrated fair with an extensive program in the city of Rotterdam. The whole town comes alive, which makes a visit to the fair a unique experience. LD: There are several impressive art fairs in Europe at the moment; what makes Art Rotterdam a not-to-be-missed event? FH: The clear focus on young talent, the beautiful new location, and the programs taking place throughout the city’s museums and cultural institutions make Art Rotterdam an unforgettable experience for many art lovers. LD: How has your art fair adjusted its profile in recent years to differentiate itself? FH: Last year, we launched Projections, our video art section, in an open and interactive setting. It is a new way of showing video at an art fair venue. In a 1,000-square-meter, blacked-out space, there are 19 video projections on free-standing projection walls. It’s a spectacular set up, and it was very well received by international collectors and curators. Video is still a young medium in the art world, so it fits perfectly with our identity. LD: What is the typical profile of art collectors attending this fair? FH: Collectors of young art that is valued up to €10,000. You don’t have to be a millionaire to make an acquisition. LD: This year, Art Rotterdam is taking place at the Van Nelle Factory, a historic industrial building that is under consideration for the status of UNESCO World Heritage Site. How did this venue come to host Art Rotterdam? FH: We could not stay in the space where Projections took place, and wanted to continue to host this section of the fair. 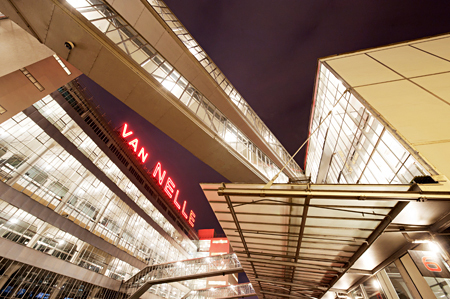 The Van Nelle Factory was always on our mind as a fantastic location, and it’s an architectural icon. Art lovers know the building very well. LD: Art fairs are a good opportunity to observe the gallery world in a wider context. Have you noticed any noteworthy changes in the gallery market recently? FH: Starting a successful gallery is based on knowledge of art history and the market. Galleries seem to be concentrating on a fewer number of fairs, but are better prepared for those they do participate in. LD: Do you think attending art fairs is essential for galleries to gain exposure? FH: Yes, galleries make between 40 and 70 percent of their yearly sales at art fairs. LD: You used to be the director of Galerie Hof & Huyser in Amsterdam. How do you think your experience as a gallerist has helped prepare you to run a major art fair? FH: I know what galleries feel and experience the fair. I can relate to the excitement, and I am aware of how important a fair can be for a gallery. LD: If you could have dinner with any three artists, living or dead, who would you choose? FH: Rembrandt (Dutch, 1606–1669), Marcel Duchamp (French, 1887–1968), and Bruce Nauman (American, b.1941).